A recent study found that Europeans are currently outliving Americans by 18 months, and contributing culprits appear to be smoking and obesity, both preventable conditions. Researchers compared the average life span in the United States with the average age of death in Western European countries that included Denmark, France, Germany, Greece, Italy, the Netherlands, Spain and Sweden. That same study found that the United States could close the gap by reducing rates of obesity and obesity-related chronic illness including diabetes and hypertension. 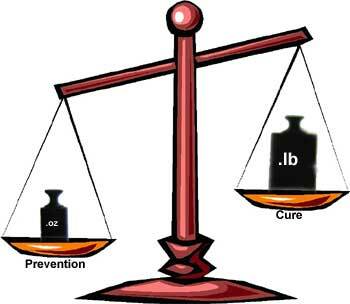 Prevention of these chronic conditions would also pay off economically, potentially saving $17,791 per person in health care costs. These researchers also projected that by 2050, health care savings from gradual middle-age health improvements could surpass $1.1 trillion. Medicare and Medicaid alone could save $632 billion! The American Nurses Association's SmartBrief reported that nursing will experience robust job growth through 2018 as our country focuses on wellness and preventive medicine. This article acknowledges that nurses are particularly adept at addressing poor lifestyle choices like bad diet and smoking. The National Nursing Network Organization encourages you to support HR 1119 The National Nurse Act of 2011 to provide nurses and the public with a prominent, visible nurse leader for health promotion and disease prevention. Nurses don't just take care of sick people, they take care of well people to make sure they don't get sick! 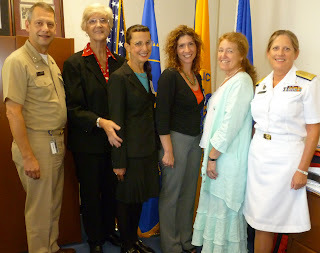 The National Nursing Network Organization ((NNNO) wishes to thank RADM Kerry Nesseler MS, RN (Assistant Surgeon General and Chief Nurse Officer USPHS) and RADM Boris D. Lushniak MD, MPH, (Deputy Surgeon General) for meeting with several members of the Board of Directors during their visit to Washington DC this month. We were especially excited to learn that RADM Nesseler and RADM Lushniak recognize how closely aligned this legislation is to the National Prevention Strategy released in June 2011. The overarching goal of the National Prevention Strategy is to increase the number of Americans who are healthy at every stage of life. During the meeting, we were provided a print copy of this document that is now posted online. It is a strong collaborative plan describing overall goals and strategies to achieve a healthier nation. The NNNO appreciates the amount of time that RADM Nesseler and RADM Lushniak spent with us and for the valuable insights they shared. Congressional staff members whom the NNNO met with following our visit at the Department of Health and Human Services also recognize the value of elevating the Chief Nurse Officer (CNO) position to full time status and designating it to be known as the National Nurse for Public Health. Many staffers were familiar with the National Prevention Strategy and could see the strong relationship between HR 1119 The National Nurse Act of 2011 and this report. The NNNO appreciates the amount of time that RADM Nesseler and RADM Lushniak spent with us and for the valuable insights they shared. Another positive aspect of this DC trip was that we were able to meet with almost an equal number of legislative staffers from both political parties. We noted more awareness and enthusiasm on both sides of the aisle for the bill. We want to especially recognize and thank all supporters who made financial contributions towards our trip. This resulted in our ability to deliver dozens of informational packets and introduce many staffers to the bill for the first time. We were pleasantly surprised by the number of significant conversations we were able to have with the Legislative Director or health policy staff despite not having prior scheduled appointments.